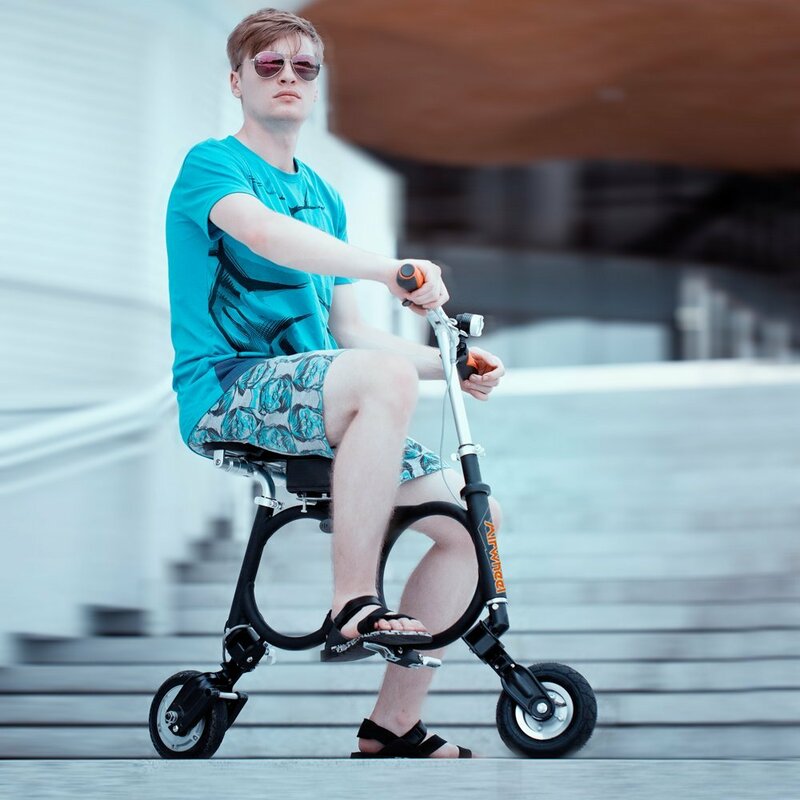 •A nice gift for your beloved ones as a fun, cool and practical commuting tool. 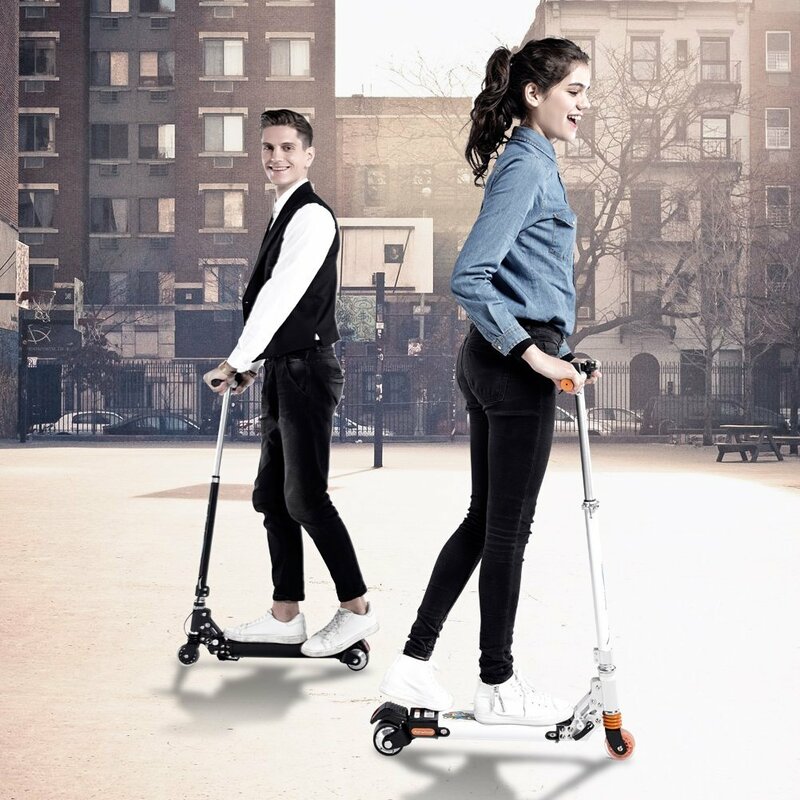 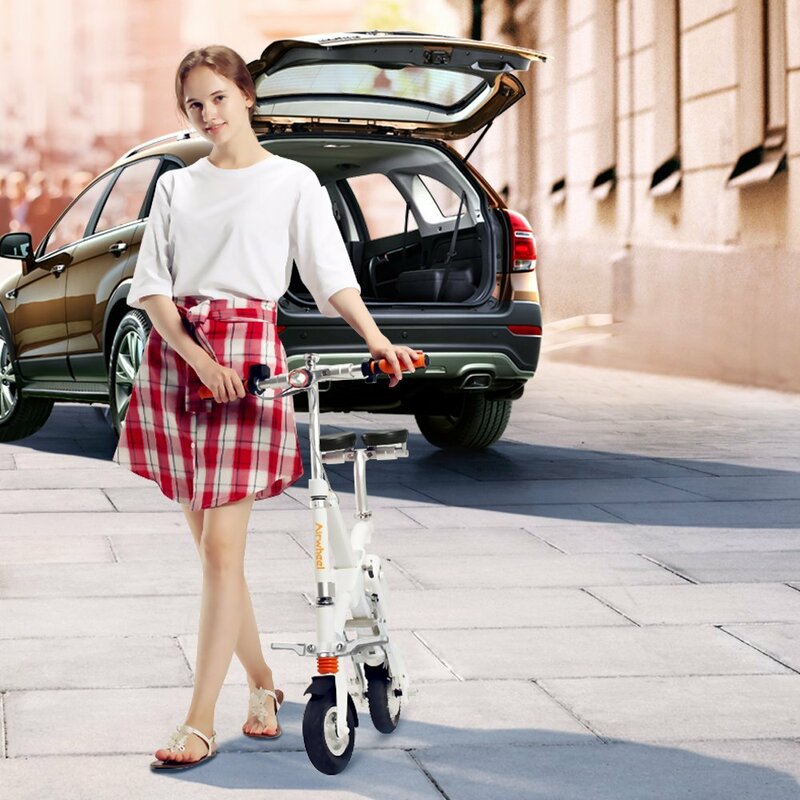 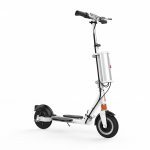 Inspired by the compact size and agility of the kick scooters for kids, Airwheel Z3 was designed to be an efficient short commute solution for congested metro road conditions. It combines portability, comfortability and security with its extremely light weight (25.6 pounds), one single push folding function, natural standing riding posture, height adjustable handle bar, pneumatic front tire for smooth ride, certified Li-ion batteries with overcharging protection, hand operated rear brake and taillight. 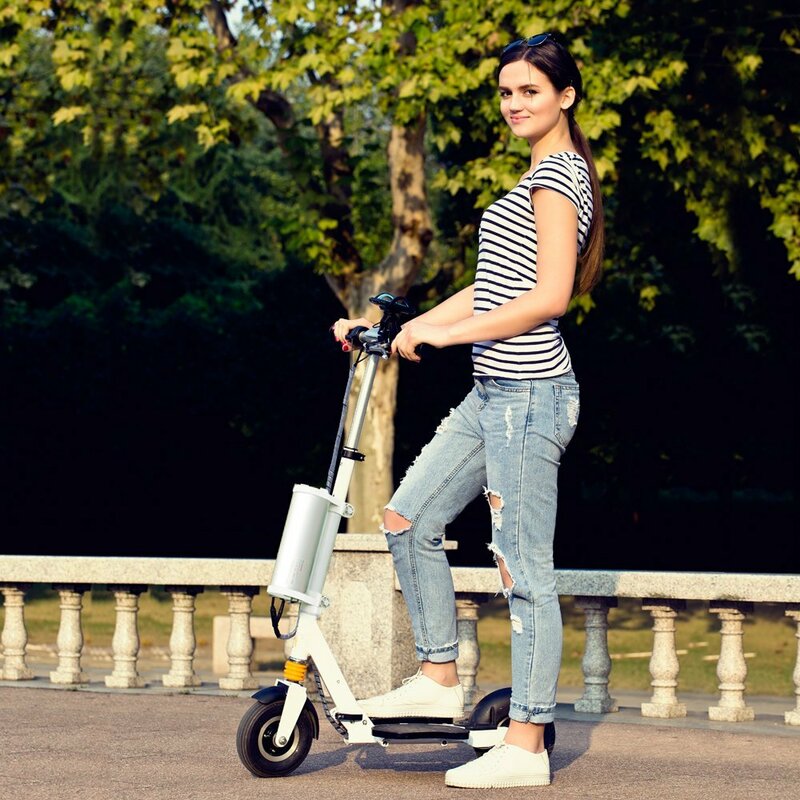 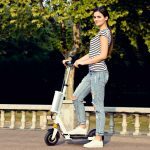 It’s also rider-friendly with variable speed push trigger, mud fenders, retractable kick stand, smart phone APP connection, detachable battery with power bank function and fast full charge in 2h. 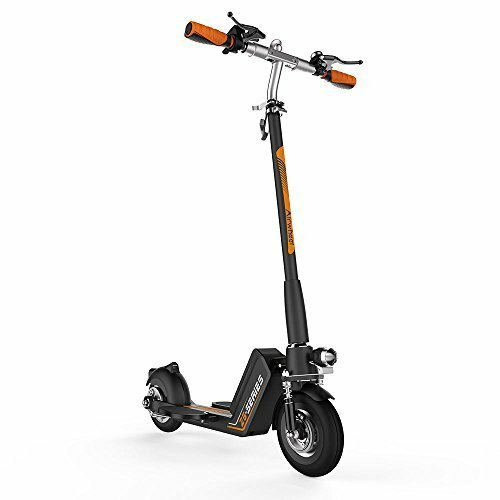 It’s compact but not fragile, with high quality thick rubber tires, and tough magnesium alloy frame, it is sturdy enough to bear heavy use and can support adult riders up to 220lbs.